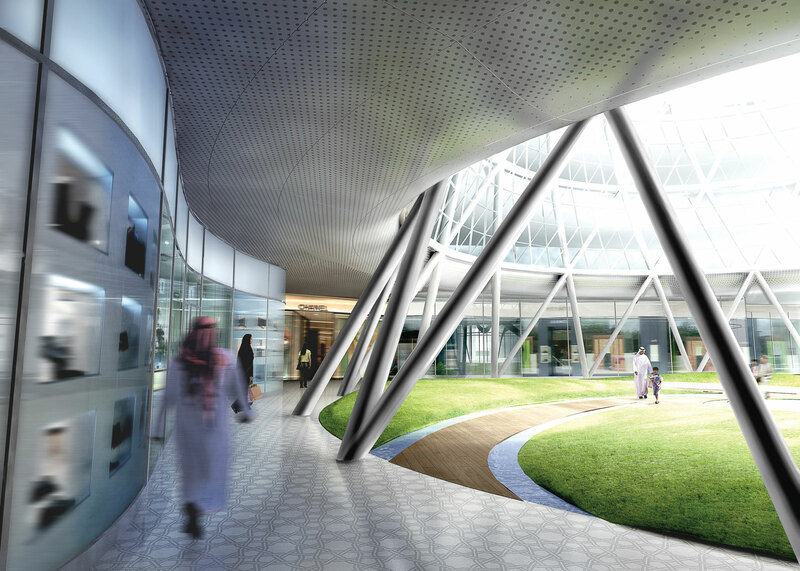 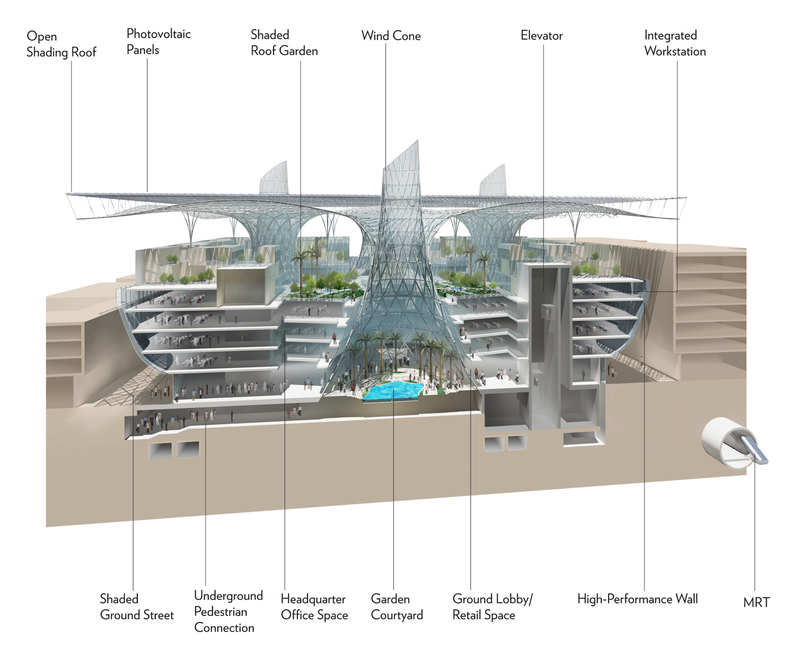 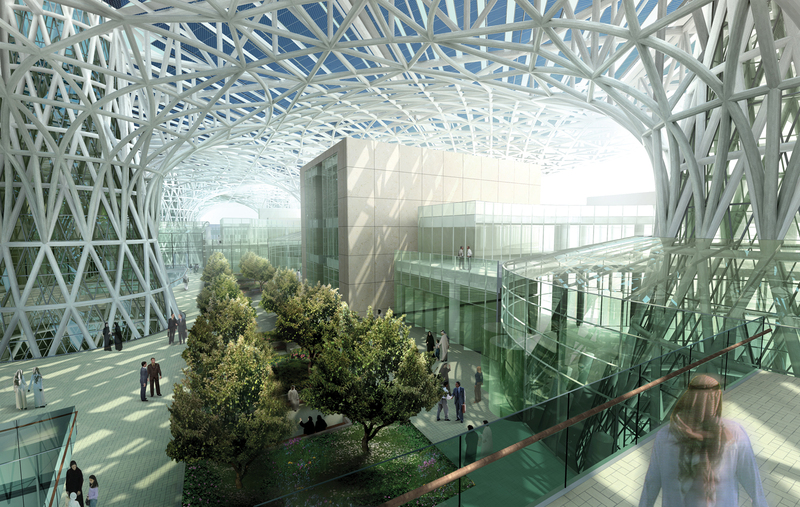 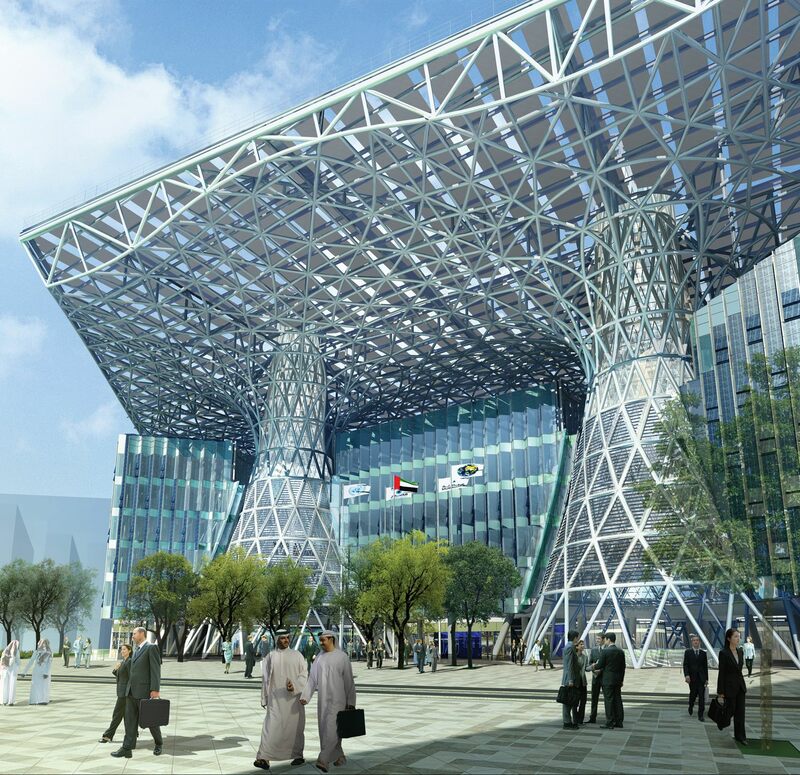 Masdar Headquarters was designed as the world’s first mixed-use, positive-energy building, using sustainable design strategies and systems to produce more energy than it consumes. 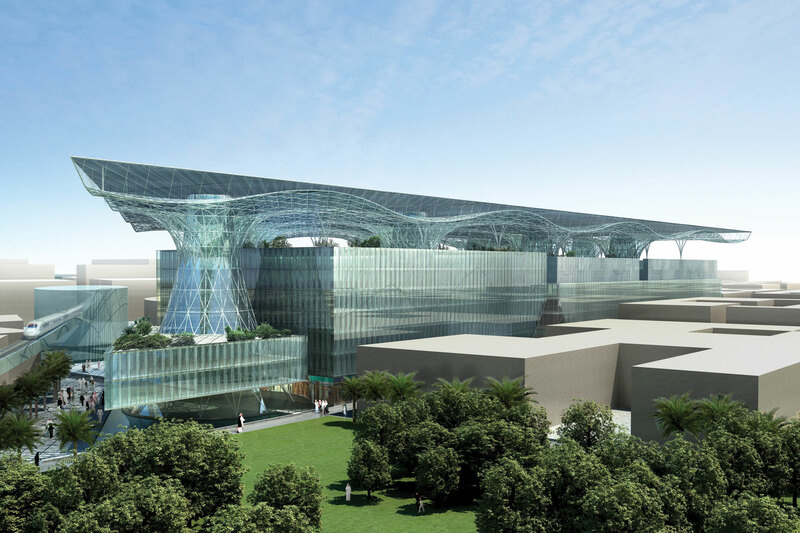 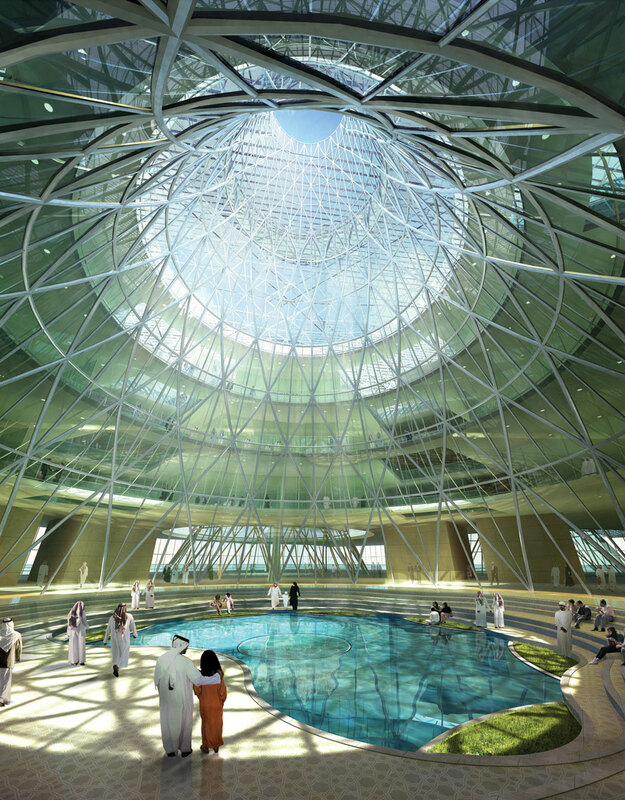 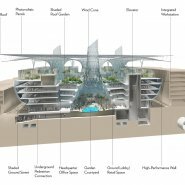 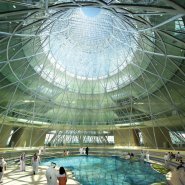 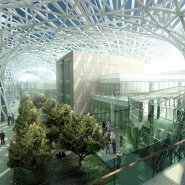 The project was designed to be the centerpiece of Masdar City, a zero-waste, carbon-neutral development outside Abu Dhabi in the United Arab Emirates. 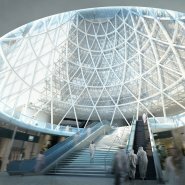 The seven-story, 134,662 square-meter structure (which includes landscaped areas) will accommodate commercial, retail and cultural uses. 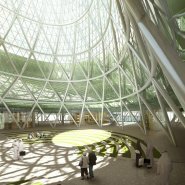 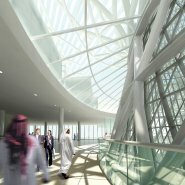 The building’s form, sculpted in response to extensive environmental analysis, adapts the ancient science and aesthetics of Arabic wind towers, screens and other vernacular architecture, which emphasize natural ventilation, sun shading, high thermal mass, courtyards and vegetation. 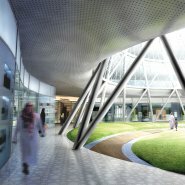 Masdar HQ’s signature architectural feature is a collection of eleven wind cones which provide natural ventilation and cooling (drawing warm air up to roof level, where wind moves it away) and form oasis-like interior courtyards and/or flexible spaces, each with its own theme, at ground level. 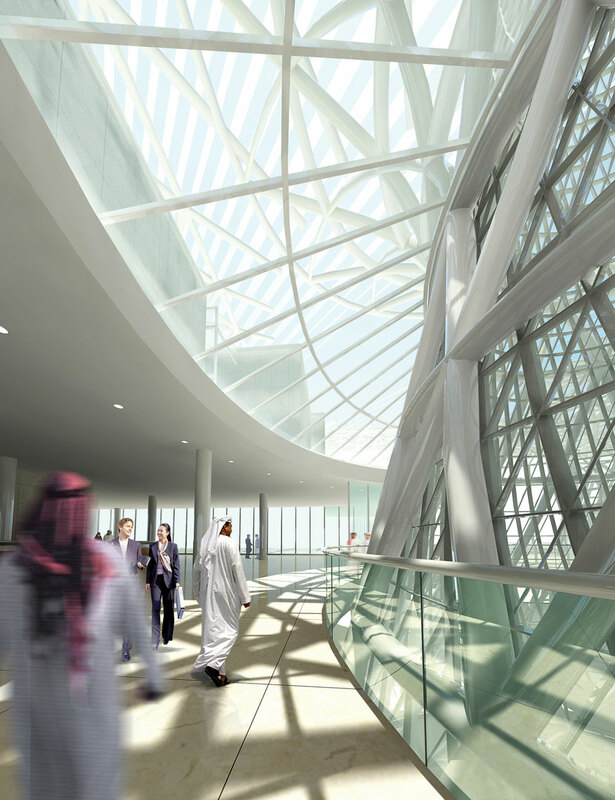 The cones also provide soft daylighting for the building’s interiors. 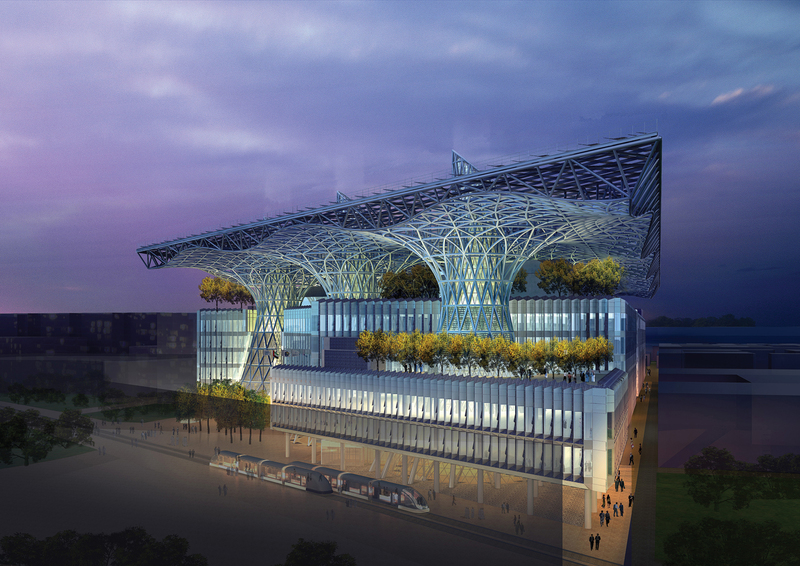 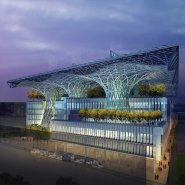 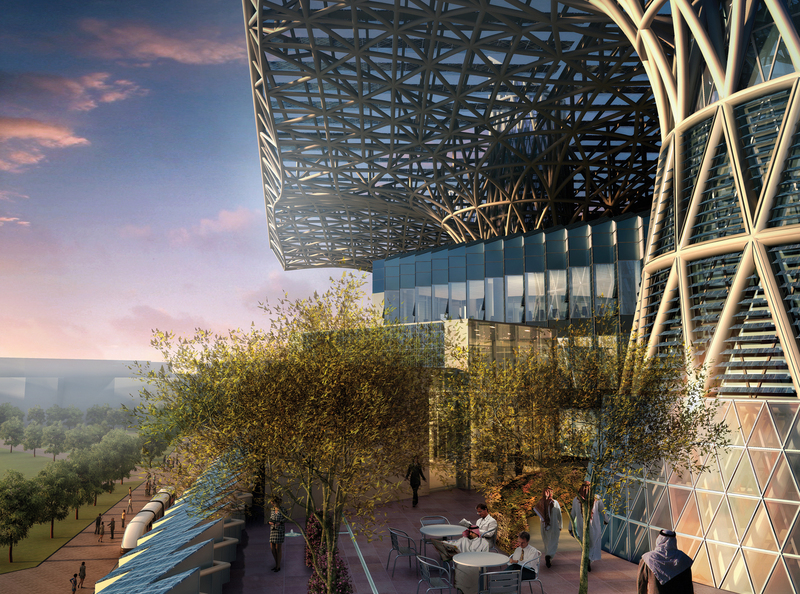 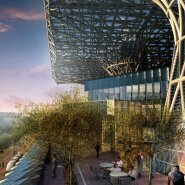 Other key sustainability design features, systems and strategies include a vast roof canopy, which provides natural shading and incorporates one of the world’s largest photovoltaic and solar-panel arrays, which will simultaneously harvest solar energy while solar thermal collectors provide solar cooling. 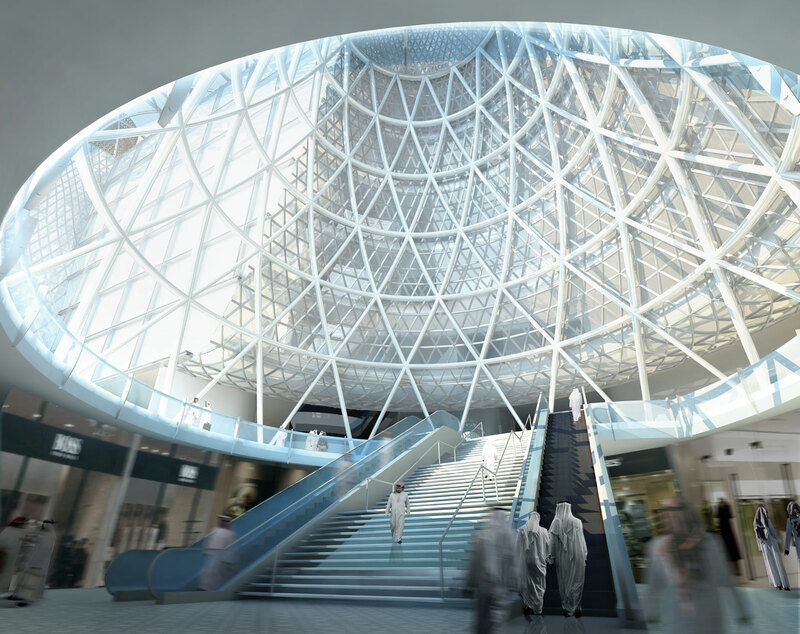 The roof’s undulating understructure facilitates the roof pier’s structural performance. 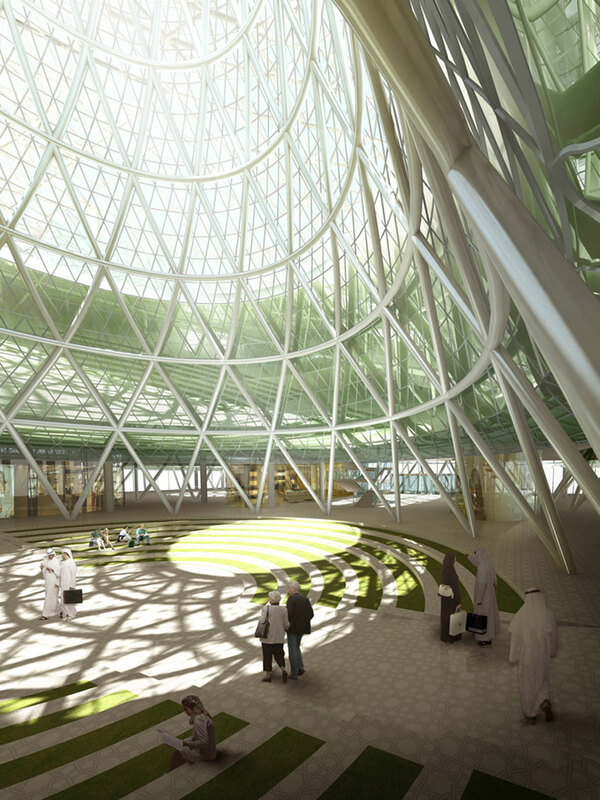 Masdar HQ was designed as the world’s greenest mixed-use building, yielding zero carbon emissions and zero waste (both liquid and solid) and a sustainable measure beyond LEED platinum. 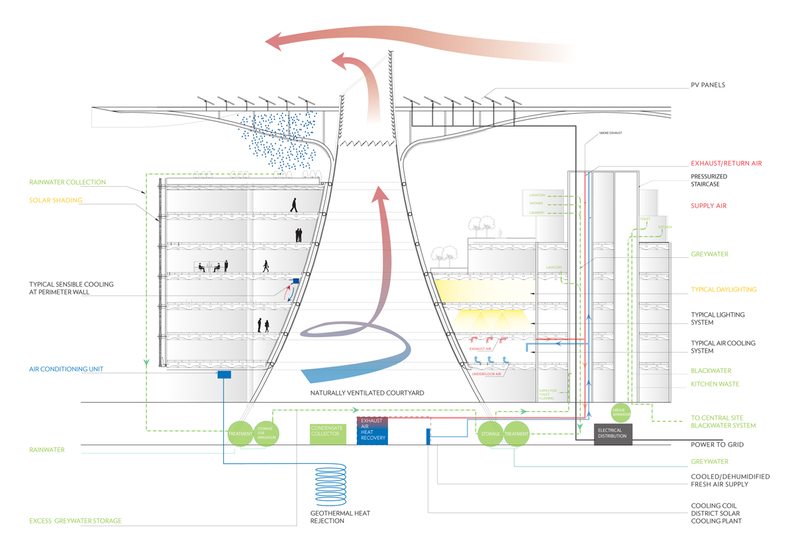 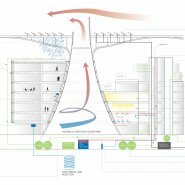 It was designed to consume 70 percent less water than typical mixed-use buildings of the same size, and be the lowest energy consumer per square meter for a modern Class A office building in a hot/humid climate. 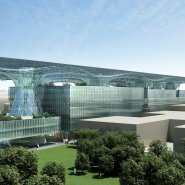 It was also designed to be the first building in history to generate power for its own assembly via one of the world’s largest arrays of photovoltaics on its roof canopy, providing shade for workers during construction of the structure’s lower levels.